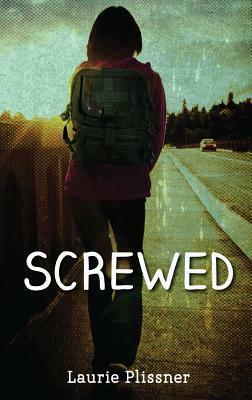 Book Review: Screwed by Laurie Plissner - Book.Blog.Bake. As you know, we agreed on this one, it was bleugh! Enjoyed your review, your critique was very thoughtful and well expressed. EEEW. This does not sound like my kind of book at all. (Not that I thought it would be, haha). The two “love interests” sounds pretty awful, her parents, and that teacher??? whaaaat. I’m sure this book had good intentions, but everything I’ve heard about this book sounds like it sort of failed to work as well as the author wanted it to. Pretty much–good intentions, but failing. The teacher thing wasn’t a large part of the book, but I still had to mention it. Teachers might get frustrated sometimes, but I don’t think one would have a job very long if they decided to call all the teenagers animals. Oh no… This book had so much potential when reading the synopsis. It’s frustrating when a book you read is just very meh, isn’t it? I feel like I’m seeing teen pregnancy everywhere at the moment, in the world of fiction that is. I haven’t seen much teen pregnancy in the world of fiction, but it’s probably because I’m not typically drawn to that story. I was really hoping for something different with this book(sadly). Eek! To think I was hoping for an interesting and poignant book story where family and acceptance and growing up triumphs. 🙁 Adding this to my nolist. Thanks for the heads-up, Stormy! That’s what I was hoping for too, but sadly. . . no such luck. Ahhhh. This book sounds awful!! I don’t think I would get past the first page. I get what you mean about the whole nice guy thing. Charlie does not sound like a nice guy! I think the “nice-guy-whose-not-really-a-nice-guy” thing is quite possibly my least favorite trope in all of literature. I’m hoping it goes away soon. Yikes! I’ve definitely been feeling that the basic teen pregnancy story is starting to go the way of the Vampire Romance– overdone and flooded with copycats. I actually haven’t read many teen pregnancies stories, but if they’re like this one, I’ll consider it a good thing.